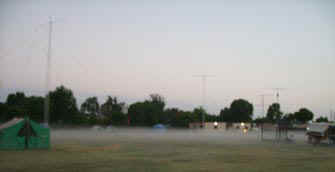 A ground fog moved across the FD site during both Friday/Saturday night and dawn. Ask Tim K6GEP about the "monsoon downpour" that occurred when the fog condensed on the 40M open-pop-up roof. 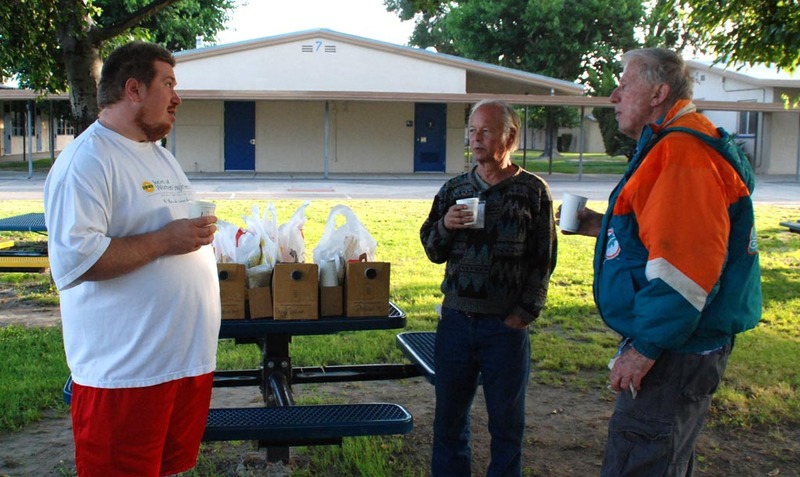 Kris W6KJC ("the food magician") made sure of an early morning arrival of Sunday breakfast; consisting of Starbucks coffee, Orange Juice and Egg-Sausage McMuffins from McDonalds. Enjoying a cup of coffee (L-R) are Nick KD8IPE, Larry K6VDP and Larry KR6LO. 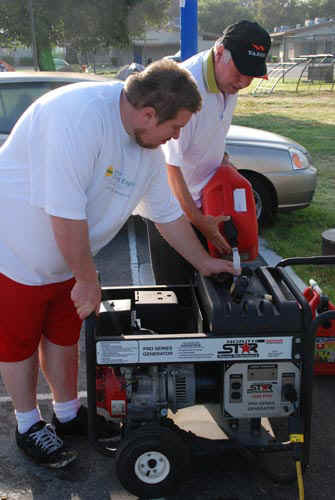 Early Sunday morning, the crew filled-up the gasoline tank on the OCARC generator after the long night run. 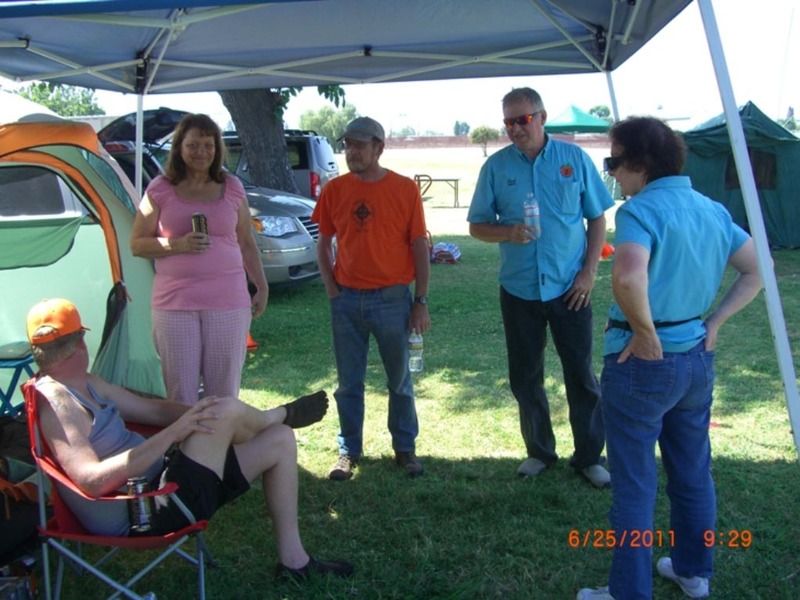 (L-R) are Nick KD8IPE and Carl N8AE..
All prepared for the start of Field Day on Saturday morning (L-R) Kris W6KJC, Susan WU6U, Jay KI6WZU, Carl N8AE, and Dee N8UZE spend a few minutes socializing and talking about FD tactics. 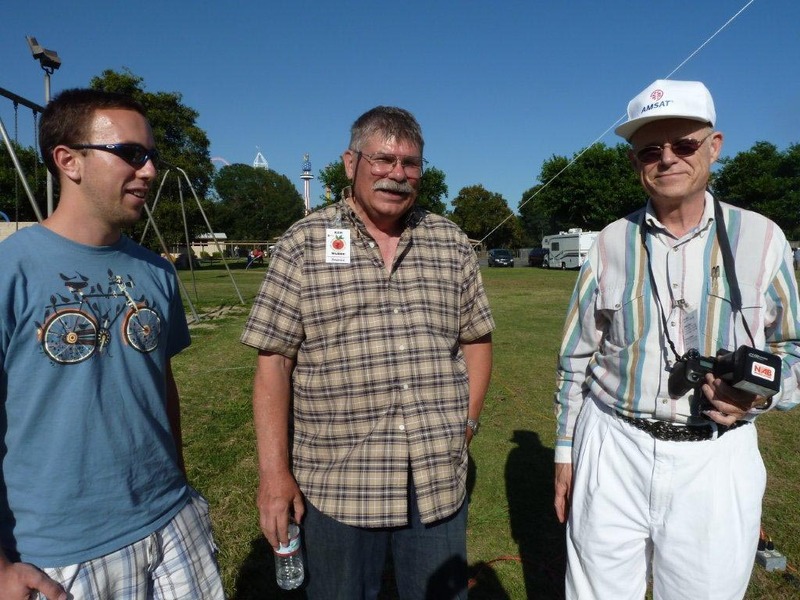 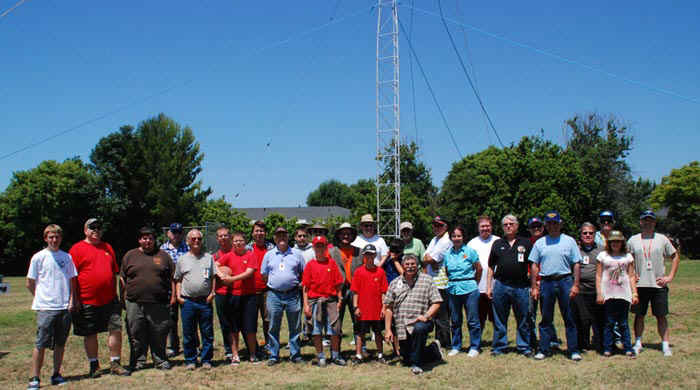 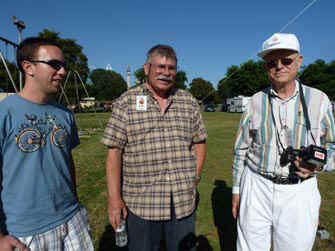 (R-L) Fried WA6WZO (a past OCARC prez, a past ARRL SouthWest Director, and past ARRL VP) enjoys field day activities and talks with Ken W6HHC and with ??? 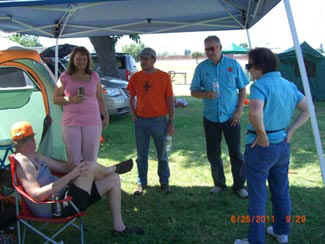 at his first FD. 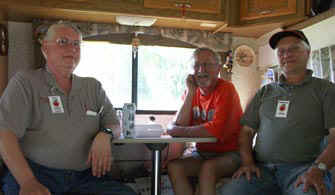 Enjoying a quiet place to sit down out of the sun are (L-R) "el Presidente" Paul W6GMU, Bruno (no call) and Nicholas AF6CF.